“Ventilator-Associated Pneumonia (VAP)”, or the more recently suggested term “Ventilation-Acquired Pneumonia”, is the commonest nosocomial infection and major cause of morbidity and mortality in the intensive care unit (ICU). VAP occurs by at least four mechanisms: (1) aspiration of microbe-laden secretion of oropharyngeal or gastric origin that has accumulated in the subglottic region above the cuff of an endotracheal tube (ETT) – the predominant mechanism; (2) inhalation of contaminated air or medical aerosols; (3) direct extension from neighboring pleural or intra-abdominal infection; and (4) haematogenous spread of distant infection. This article focuses on how some novel designs of ETT may contribute to VAP prevention. 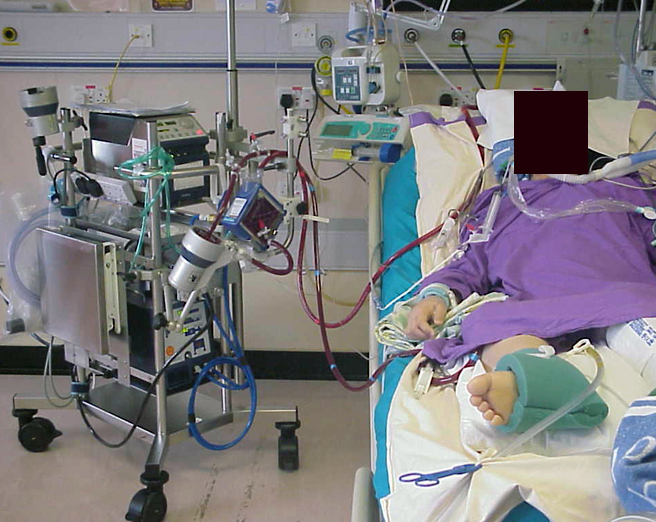 2010 Oct 16 - Extracorporeal Membrane Oxygenation (ECMO): Revival ± Revolution? Extracorporeal membrane oxygenation (ECMO) is a form of extracorporeal life support (ECLS) where an artificial circuit carries venous blood to a gas exchange device (the oxygenator) for oxygen enrichment and carbon dioxide removal. If the blood is returned to the venous system, it is called a veno-venous ECMO (VV-ECMO), whereas if blood is returned to the arterial system, it is called veno-arterial ECMO (VA-ECMO). VV-ECMO is considered for acute respiratory failure with good cardiac function, while VA-ECMO is used in cardiac failure with or without respiratory failure. The following discussion will focus more on the use of VV-ECMO for acute respiratory failure. Inclusion criteria: Eligible patients were aged 18—65 years with severe but potentially reversible respiratory failure, and a Murray score of 3·0 or higher, or uncompensated hypercapnoea with a pH of less than 7·20 despite optimum conventional treatment. Patients were also considered for inclusion if the Murray score was 2·5 or higher, so that trial entry could be accelerated if the patient continued to dete riorate. Introduction: Chest drain can be used to drain abnormal collections of fluid or air from the pleural cavity. It is mostly used to treat pneumothorax and pleural effusions. Although chest drains have been used for over a century, there is surprisingly little research-based evidence. Most literature is largely anecdotal and often based on expert opinions or retrospective series. In the following discussion, a review of the current nursing care and management of chest drains would be made. Some human swine flu patients present with rapidly progressive respiratory failure. When there is relentless oxygen desaturation despite maximal ventilatory support, extracorporeal membrane oxygenation (ECMO) using a veno-venous circuit becomes a useful option to almost fully replace or support the ventilatory function of the lungs. A scheme for the management of pneumothorax with chest drainage is shown. Click READ MORE to view. PCT is an acute phase reactant which rapidly increases in level in inflammatory diseases. It can be either hormonally expressed by neuroendocrine cells (such as the thyroid and K-cells of the lung) or released in a cytokine-like manner by parenchymal cells in liver, kidney, and monocytes.1 PCT levels are released by parenchymal cells in response to microbial toxins and to certain host pro-inflammatory mediators (IL-1β, TNF-α, and IL-6). Tracheostomy is one of the more common surgery performed on the critically ill patient and is traditionally performed by surgeons in the operating room. 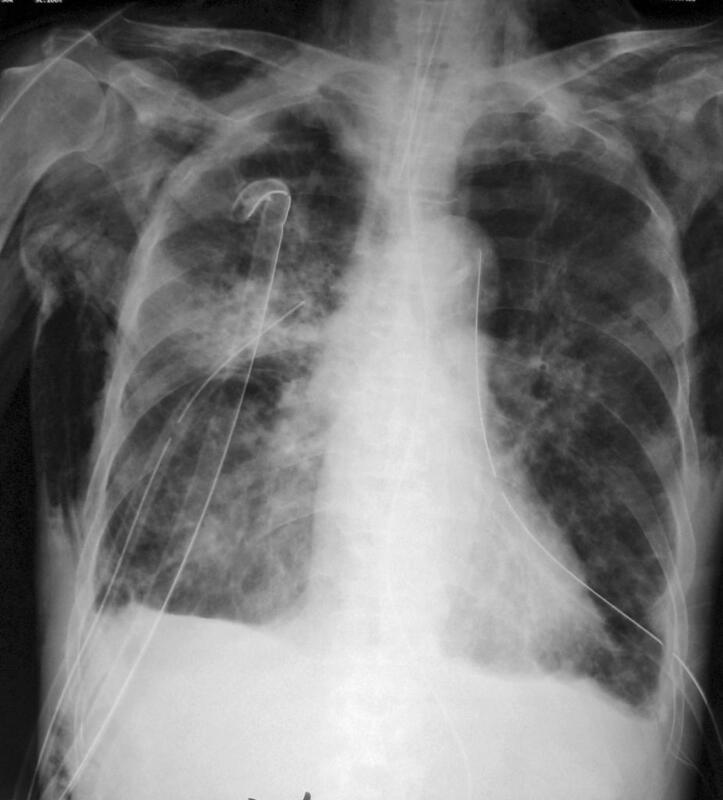 Percutaneous tracheostomy was developed shortly after Seldinger1 described a technique of needle replacement over a guide wire in arterial catheterization in 1953. Shelden et al2 gained airway access with a slotted needle that was used to guide a cutting trocar into the trachea. 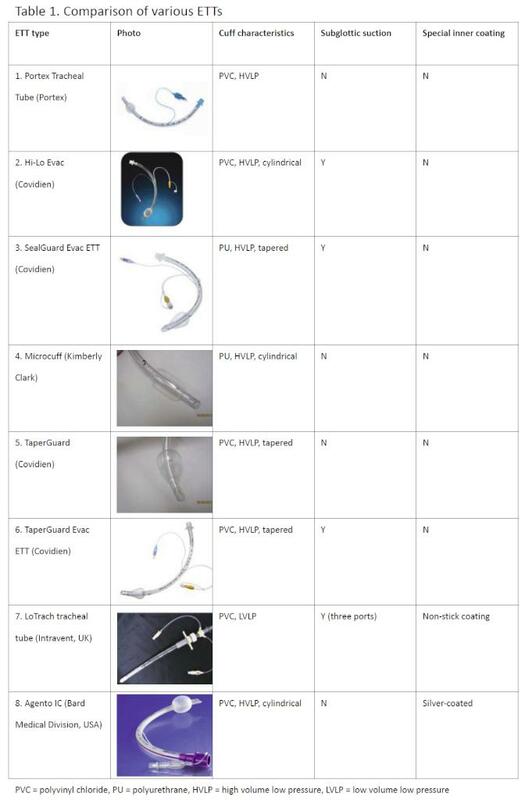 Subsequently several authors have also described various methods of percutaneous tracheostomy. The utility of percutaneous tracheostomy is that it can be performed at the bedside, especially in intensive care units. A 23 year-old university student with good past health was admitted on 15 July 2009 with fever, cough with blood-stained sputum and sore throat for 1 week. She enjoyed good past health and lived with her parents, siblings and domestic helper. She returned to Hong Kong from the United Kingdom on 14 June 2009 and had no known contact with patients with respiratory symptoms. Her family members were all asymptomatic. This website is the joint website of the Hong Kong Thoracic Medicine (HKTS) and American College of Chest Physicians (ACCP, Hong Kong & Macau Chapter). It is managed by the Information Technology Subcommittee of the Hong Kong Thoracic Society. Content is supported by the Editorial Board of the Newsletter - a trimonthly joint communiqué of Hong Kong Thoracic Society & American College of Chest Physicians (Hong Kong and Macau Chapter). The website is still under construction, but it already contains a lot of useful clinical cases for your reference. 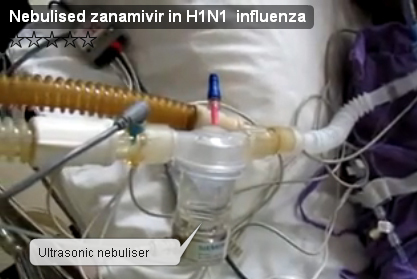 Note: On 10 Sep 2009, FDA Warned Against Use of Zanamivir With Nebulizer, weblink here. The following information is for reference only. It is an overview of the ventilator circuit of a critically ill patient suffering from H1N1 influenza (swine flu) with Siemens Ultrasonic nebuliser fitted into the inspiratory limb of the circuit. Click Read More for video clips about the setup. This web site is intended as a self-tutorial for residents and medical students to learn to interpret chest radiographs with confidence. Technique, normal anatomy and common pathology are presented. Quizzes are provided for practice and self-assessment. 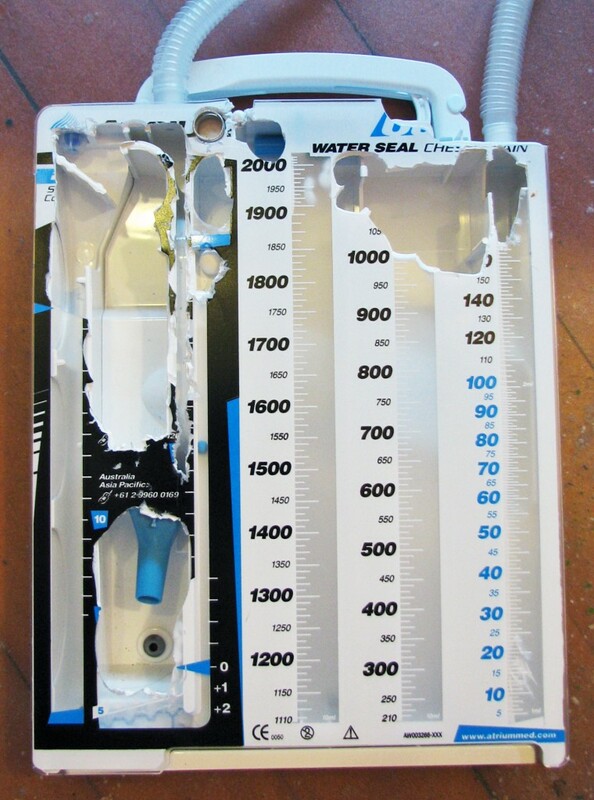 Have you ever taken apart this commercial chest drainage system (Atrium Ocean TM) to learn about the inside mechanisms? This is actually a 3-bottle chest drainage system, but has the added advantage that it is sterile and compact, having overpressure and underpressure protection, and it will not lose its fluid even when tipped. Figure. 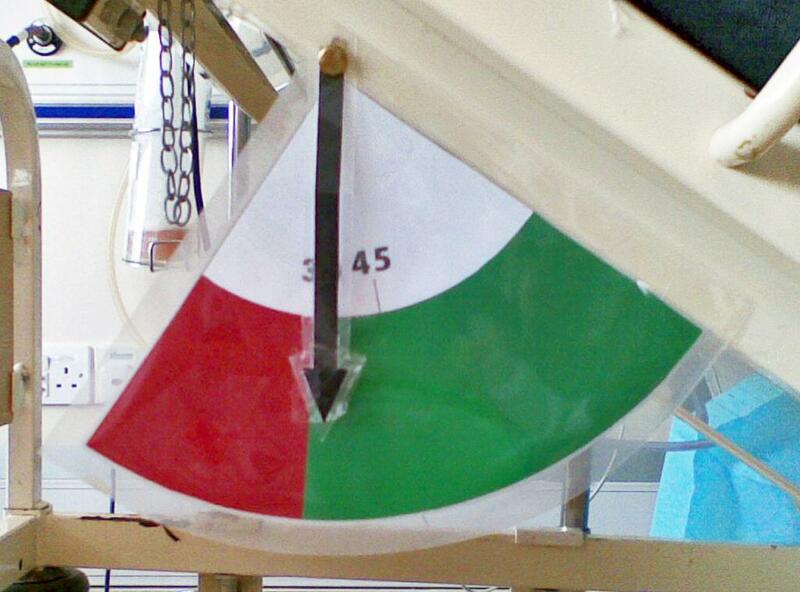 Head of Bed (HOB) angle indicator used in PYNEH ICU. Click Read More to read the evidence that this improves compliance of HOB elevation, one of the important measures to prevent ventilator-associated pneumonia (VAP). Also appears in the Newsletter of The Hong Kong Thoracic Society, The American College of Chest Physicians (Hong Kong and Macau Chapter) and The Hong Kong Lung Foundation, vol 19, no 1, Mar/Apr 2009. You may also view the powerpoint presentation file on this topic here. 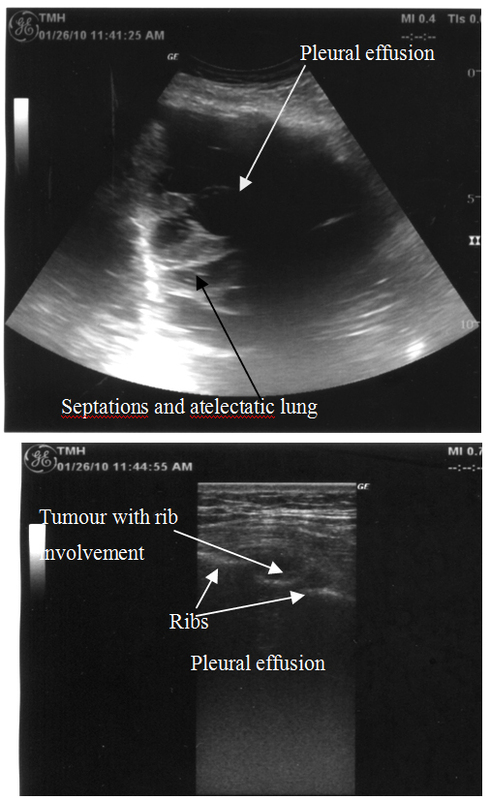 In the following article, we illustrate the differences between alveolopleural fistula (APF) and bronchopleural fistula (BPF) with a review on their management through the presentation of a case recently encountered in the intensive care unit (ICU). How do your nurses prop up an ETT dangling from a patient's mouth? Our nurses do it this way in recent few months. Are you doing it this way too? A thin latex glove is blown up with air and the ETT simply rests in between the digits. It is light in weight, not slippery, and so we feel that it is better than using folded towel as support. Ask your hospital editors to publish under Useful Resources Stores/Tricks of the Trade to share with us your smart way of doing ICU-related jobs.